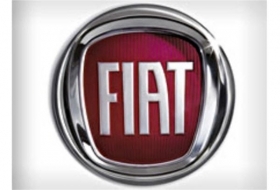 BELGRADE (Bloomberg) -- Italy's Fiat S.p.A. will start test production of new models in Serbia in the second half of 2011, phasing out the Punto, which sells in Serbia and other neighboring markets, a Serbian Economy Ministry official said. The carmaker's plans to start two new car models at its unit in the heart of Serbia outraged Fiat workers in Italy, while Prime Minister Silvio Berlusconi said he “hoped” the decision would not hurt domestic manufacturing. Nebojsa Ciric, Serbia's deputy minister in charge of economy and state asset sales, said Serbia wouldn't interfere in any dispute Fiat had in its home market. Fiat's decision to boost its initial investment in Serbia by 100 million euros ($130 million) to 800 million euros was key, he said. “The test series will start next year, probably in the third quarter,” though no later than the fourth quarter, Ciric said Tuesday in a telephone interview. By then, Fiat will upgrade its production facility in Kragujevac, central Serbia, to prepare for new cars that are planned to replace the Punto, the production of which is currently “just about enough to finance wages,” Ciric said. The plant produced 16,000 Punto subcompacts in 2009 and will probably build about 20,000 units this year, a quarter of which will be exported. Belgrade newspaper Novosti reported Tuesday that Fiat would keep on making the Punto until at least 2012, citing the local government in the town of Kragujevac. To keep the Punto in Serbia and make a profit, the plant would have to produce 30,000 units a year. Local government officials declined to comment. Fiat has no definite timeframe and no plans at the moment to halt production of the Punto in Serbia, a company spokesman said Tuesday. Fiat has been making the Punto Classic model, which precedes the Grande Punto, for about two years in Serbia, from where it also exports the cars to nearby markets, Fiat said. Together with the government in Belgrade, Fiat set up a joint venture two years ago, taking a 67 percent stake in it. Plans for new production stayed frozen in 2009 due to global recession, prompting the government to subsidize the Zastava carmaker, which assembles Fiat cars. Fiat paid an initial 98 million euros in founding capital in December 2009, while the next 100 million-euro installment is due in the second half of 2010. Once equipped for new output and fully operational, the unit in Serbia is planned to produce 200,000 cars a year, mainly for export markets. The government is striving for export-led growth after more than a year of economic downturn showed that heavy reliance on foreign borrowing and foreign direct investment was one of the country's main weaknesses.